During the summer of 2016 while on vacation in Singapore, New York Times best-selling author and historian, Fawn Weaver, read an article about Nathan “Nearest” Green that sparked her interest to learn all that she could about his story. Green was an enslaved man in Lynchburg, Tennessee who taught Jack Daniel how to distill whiskey. As a matter of fact, according to Weaver’s research, Green was the nation’s first African American master distiller. 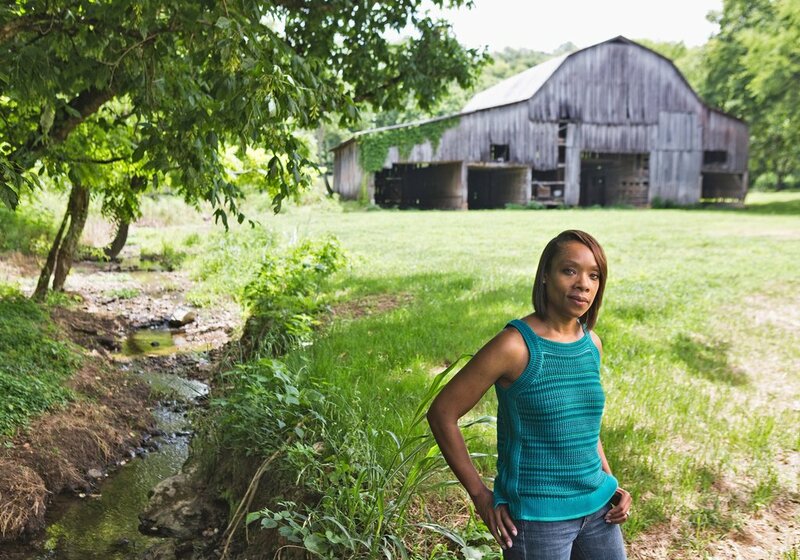 Shocked to learn that the global whiskey brand started under the guidance of a man who was born into slavery, Weaver began a journey of discovery that ultimately led her to purchase the property upon which the first Jack Daniel’s whiskey distillery was located and start a foundation to honor Green’s life and legacy. Soon after learning of Green’s contributions to the Jack Daniel’s whiskey-making process, Weaver visited Tennessee and toured three distilleries that mentioned nothing of Green’s relevance to Tennessee whiskey-making. Thus began her search for Green’s descendants and archived information to help her piece together Green’s relationship with Daniel. She soon gathered enough information to conclude that Green taught Daniel (who was the neighbor of Green’s owner, Dan Call) how to distill and somehow forged this working relationship with him sometime after the Civil War. After reading “Jack Daniel’s Legacy,” where Green and his sons are mentioned over 50 times, Weaver knew that there had to be more to the story. “To have another family, a Black family, mentioned that many times is insane, that’s how I knew the story was a little more special,” said Weaver. Ultimately, Weaver located the Tennessee farm (Dan Call’s former residence) where Green and Daniel began distilling together, bought it, and then also purchased a four-acre plot in the center of Lynchburg that she intends to turn into a memorial park in Green’s honor. She also started the Nearest Green Foundation and introduced Uncle Nearest 1856, an aged whiskey made in the same style of distilling that Green taught Daniel. “It was on the Call farm that young Jack became one of the world’s most famous pupils and Uncle Nearest, the greatest teacher in the fine art of distilling Tennessee whiskey,” Weaver said. “It’s important to set the record straight because anyone who accomplished something like Nearest did should be honored,” Weaver said. Thank you, Fawn Weaver. Your passion and determination has given voice to one of the many important yet untold stories about the significant contributions of Black people to American history. To learn more about Nathan “Nearest” Green, visit: http://nearestgreen.com/. Previous articlePrioritizing Hair Before Health: Black Women Have Highest Rates Of Obesity In The U.S.